If you have engaged in relationships of any kind, you have experienced and likely battled against “silent agreements.” While most people have never used or even heard of this term, silent agreements are present in our everyday lives where they lurk in the shadows of our relationships—at home, in social circles and in the workplace. They are those unspoken “rules” of our relationships that grow from the topics we don’t talk about—the needs, wishes and expectations that we don’t share but hold others accountable for, anyway. Most often the other party is doing the same thing, which adds layers that make these silent agreements even more complicated to uncover and deal with. Sometimes the unspoken expectations of two people are in agreement, and when that’s the case, the relationship can hum along without drama, stress or misunderstandings. But many silent agreements can be completely out of line, and that causes problems in the relationships. Silent expectations cover all areas of life: money, commitment, intimacy, kids, jobs and careers, health issues, technology and social media connections. Unawareness of these expectations can result in problems and even chaos. “Whether in alignment with others or not, in many cases the silent agreements we have with one another, or towards another, are not acknowledged or openly discussed,” notes clinical psychologist Michele L. Owens, Ph.D. “This is largely due to the fact that we, ourselves, may not be consciously aware of the expectations we harbor. Other times, we feel that we have too much to lose if we talk openly, or, we regard silence as less frightening than what would happen if we tell the ‘real’ story about what we are thinking and wanting from another person. So, we avoid discussing the real issues because we are afraid to upset the status quo. Clinical psychologist Linda Anderson adds, “Often we erroneously believe our silent agreements with others to be understood or implied, thinking we share the same understanding or meaning of an unspoken expectation. “One person can have a particular perception about an unspoken issue while the other is experiencing something entirely different. The result can be debilitating and downright deadly for relationships. Some couples are inseparable, and yet that intimacy works to keep each from being their “best independent self.” Their silent agreement maintains the intense closeness by avoiding any pursuit of individual fulfillment. Consider how this agreement develops. She does not apply for the job promotion because of how it will make him feel. Later she resents him for it. We sabotage each other’s ability to explore enriching options and reach our true potential when we sign on to silent agreements that neglect the desire for creative freedom. The cheating boyfriend married his longtime girlfriend, each with different notions of their commitment to each other. He thought “now she’ll never leave me,” and she thought “now he’ll never cheat again.” They weren’t aware of their differing silent agreements, and were unable to talk about what they needed to feel secure in the relationship. So, he cheated and she left and locked in their silence, neither got the relationship they sorely hoped for, nor the chance to achieve that goal together. When misaligned silent agreements are uncovered it can prevent outcomes like these. A silent agreement to pursue the trappings of success at any cost is sure to undermine us. It takes emotional maturity to recognize that what is truly important is not always what others approve of or perceive as important. Credit cards maxed and income squandered suggest that your emphasis on appearances has undermined your actual security. When maintaining excessive spending habits, financial insecurity, and monetary chaos is more important than reality, it is likely that you are in a depleting silent agreement with yourself. In contrast, an enriching silent agreement is the commitment to confront the conflicting identities being created at the literal expense of financial ruin, allowing you to make friends with the truth of who and where you are in your real life. Communication is often undermined in relationships by counterproductive and contradictory actions that grow out of silent agreements. A silent agreement evolved with the couple that doesn’t talk about how their weekly baking of cakes and sweets impacts the husband’s diabetes. With this silent agreement they won’t have to face the fact that both of them have agreed to undermine his health. One baked and the other ate. While they talked about the impact of cakes on his diet and health, they never uncovered the real silent agreement. Rather than talk about the silent agreement that would require them to acknowledge the impact of sweets on his illness. Instead, he blames her for baking and she blames him for lack of self-control. 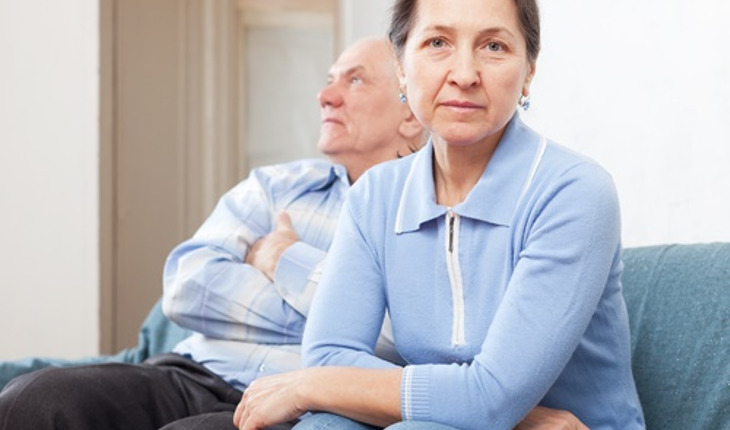 As long as they don’t cooperatively acknowledge their mutual investment in the neglect of his self-care, they can point the finger at each other for the chronic disease If they could imagine that their relationship could be enriched by acknowledging their silent fears about his illness while supporting each other, perhaps then they would prefer a relationship of open agreements. Doctors Linda Anderson, Sonia Banks and Michele Owens are licensed clinical psychologists with private practices and a consulting agency, “Sessions: Innovations in Psychology.” Reach them on line at www.silentagreements.com.